The National Safety Commission Alerts: America's Road Safety: Are more Regulations Needed? America's Road Safety: Are more Regulations Needed? In spite of all the rhetoric from politicians and political pundits calling for less government regulations, it seems that there is one area where Americans agree more laws and regulations are needed. According to the results of a recently released survey by the AAA Foundation for Traffic Safety, Americans seem to agree on the need for more laws and regulations to make America’s roads safer. 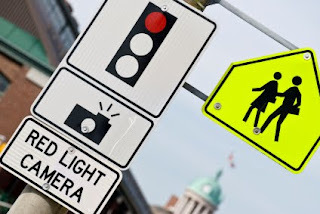 An additional 815 lives could have been saved during the same period had red light cameras been installed. 676 people were killed and approximately 113,000 were injured by red light runners in 2009. Two-thirds of the victims were people other than the red light runners. If you agree that more needs to be done to make the roads safer, contact your local and state representatives and let them know how you feel.